Did Beyonce Rip Off Icelandic Fashion Designers? Icelandic brand E-Label is charging that a pair of black, studded leggings in Beyonce’s Dereon collection is a copy of a garment in its own collection. “It is practically copy-paste,” said E-Label co-owner Helba Hallgrimsdottir. When it comes to design, imitation is not the sincerest form of flattery — particularly when it’s happening on the world stage, with a jolt of celebrity stature to get it noticed. Icelandic brand E-Label is charging that a pair of black, studded leggings in Beyonce’s Dereon collection is a copy of the studded leggings in its own collection, sold at London-based chain TopShop. To add insult to alleged plagiarism, the leggings in question recently turned up in an edgy photo shoot featuring Beyonce as a biker chick. Helba Hallgrimsdottir, co-owner of E-Label, went from elation at thinking her pants were getting incredible press to outrage when she realized they weren’t hers. The Council of Fashion Designers of America (CFDA) has worked with Sen. Charles Schumer to create an anti-counterfeiting bill that would protect fashion designers from situations like this one. In the Schumer bill, designs would be required to pass the “squint test,” meaning that if you need to squint to see the difference between two designs, one is an infringing copy of the other. 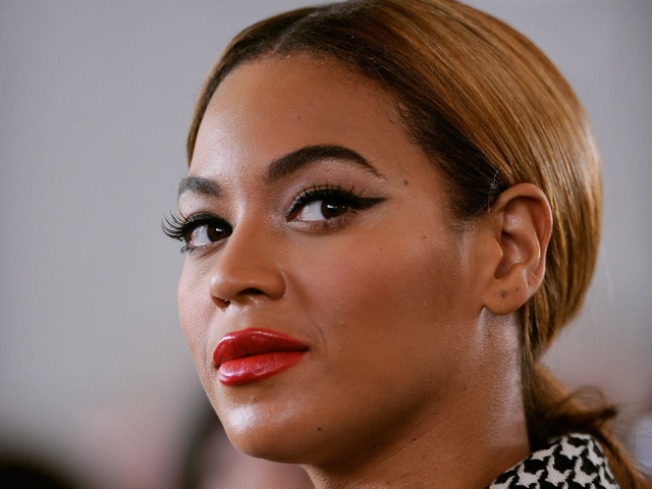 Reps for Dereon, which is designed by Beyonce and her mother, Tina Knowles, declined to comment.